KSB Pumps and Valves latest generation of its standardised Etanorm water pump series continues to top the sales charts in South Africa, as well as the rest of the world. In Africa, it has become a trusted name in the agricultural, municipal and other industries where its versatility, efficiency and reliability have made it the most popular pump type in use today. Produced non-stop since 1936 the Etanorm has sold more than 1,5-million units, which have proven themselves over more than eight decades. In its latest form the latest version comprises 43 pump sizes, which can be driven by either 2-pole or 4-pole motors. The selection chart has also been extended with additional pump sizes, so that sizes can be selected that are the closest to the best efficiency point. KSB Pumps and Valves new Etanorm pump follows more than 80 years of proven reliability. In intensive work with CFD (computational fluid dynamics) for flow simulation KSB’s development engineers have also optimised the hydraulic contours making it more efficient in order to easily meet tough global efficiency requirements, including the benchmark EU requirements (ErP) of Commission Regulation 547/2012/EC for water pumps. According to Dave Jones, regional sales manager for KSB Pumps and Valves, the engineers placed a particular focus obtaining an excellent suction and a low NPSH value, thus minimising the risk of cavitation and obtaining a smooth and stable pump operation even in difficult operating conditions. This means the pumps run reliably and contribute to a greater availability of the overall system. He adds that the material range comprises cast iron, bronze and nodular cast iron as well as stainless steel. The diversity of materials and a large choice of seal variants have extended the suitability of the new type series to applications beyond those of water. The space allocated to the mechanical seal has also been enlarged to enhance venting to make allowance for this. The new spacious design also facilitates dismantling and reassembly of the mechanical seals. 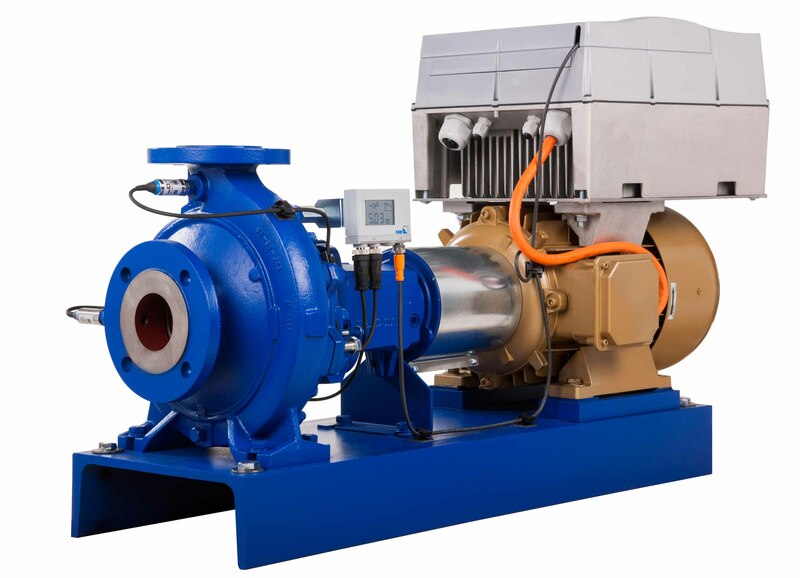 “In line with KSB’s common practice for industrial pumps, every pump will be supplied to the customer with the impeller diameter trimmed exactly to the duty point. Impeller trimming combined with the large range of pump sizes available for selection is the only way of keeping the energy consumption of the pump to the minimum necessary. Operators benefit from the type series being manufactured at four different sites — in Germany, India, China and South Africa — which all comply with the same quality standards. This makes global procurement much easier; pumps and spare parts are readily available.